The autonomic nervous system is at the heart of daily living powerfully shaping experiences of safety and influencing the capacity for connection. Operating outside of conscious awareness, autonomic circuits assess safety and initiate actions to help us navigate the challenges of daily living. Polyvagal Theory, through the organizing principles of hierarchy, neuroception, and co-regulation, has revolutionized our understanding of how this system works. We now know that trauma interrupts the development of autonomic regulation and shapes the system away from connection into patterns of protection. With an updated map of the autonomic circuits that underlie behaviors and beliefs, we can reliably lead our clients out of adaptive survival responses into the autonomically regulated state of safety that is necessary for successful treatment. In this experiential workshop participants will first learn the basics of Polyvagal Theory and then work with practices designed to bring the power of Polyvagal Theory directly into clinical work.Working individually and in dyads, participants will experiment with multiple ways to map autonomic responses, skills to safely explore patterns of action, disconnection, and engagement, and techniques to build autonomic regulation and resilience. The workshop will bring Polyvagal Theory into practical application with a roadmap to help clients safely tune into their autonomic states, reshape their nervous systems, and rewrite the trauma stories that are carried in their autonomic pathways. 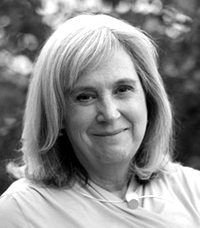 Deb Dana, LCSW, is a clinician and consultant specializing in working with complex trauma and is Coordinator of the Traumatic Stress Research Consortium in the Kinsey Institute. She developed the Rhythm of Regulation Clinical Training Series and lectures internationally on ways in which Polyvagal Theory informs work with trauma survivors. Deb is the author of The Polyvagal Theory in Therapy: Engaging the Rhythm of Regulation and co-edited, with Stephen Porges, Clinical Applications of the Polyvagal Theory: The Emergence of Polyvagal-Informed Therapies.